Aria is very much into her dolls and loves baby dolls. Don’t get me wrong, the boys loved dolls and prams too, but mainly so they could run about pushing them and seeing how they could make them crash. It is very different to see Aria using them in role playing and imaginative play settings. She instantly shushes her baby doll or pushes it back and forth in the pram as if calming her. It’s adorable and she just loves playing, dressing them and talking to them. Play Like Mum has an amazing range of doll prams and pushchairs to suit any little one’s taste and stage. So now, Aria is a little bit older at 4 1/2, she is starting to look after toys and enjoy the beauty in them. When we were sent this Silver Cross 5 in 1 dolls pram, she instantly fell in love with the photo on the box. She could not wait to have this built. You can see the love in her eyes, every time she is playing with it and it’s something she plays with a lot. It sits pride and place in our living room. It helps that it goes with our decor. The pram itself comes as a baby pram comes, in a box and has to be built. It came out look like the photo above. Inside the box comes the frame, wheels, hood and pram all ready to be constructed. It didn’t take long to build, the instructions were clear and simple. I was surprised by how much it is constructed and manoeuvres just like the one I had for Lucas when he was born. Honestly, it is amazing. I cannot tell you how every single little detail is in this pram. I was blown away. Aria and I made a little video which is down below of our building and playing with it. The system builds up into a lovely carrycot style pram. The pram can be both forward and rear facing. 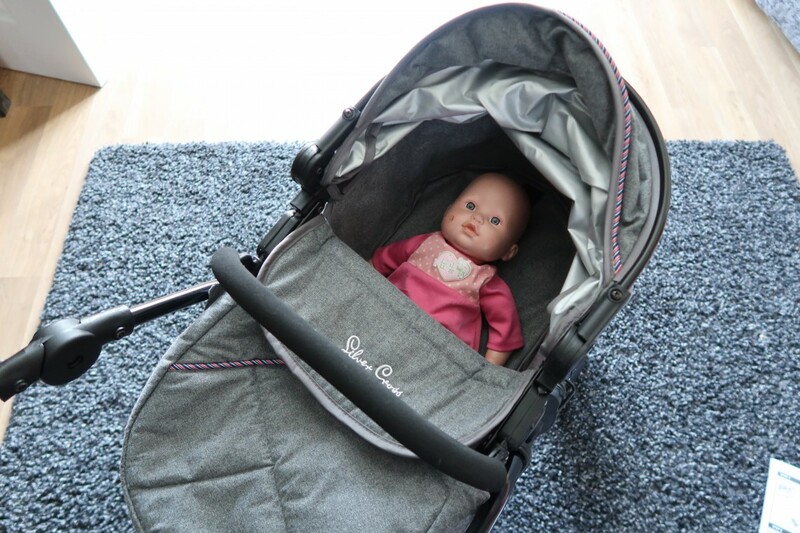 The carrycot can be lifted off and used as a carrycot if your baby doll is sleeping. A few pop of the poppers, like the one above, and it turns into a pushchair. 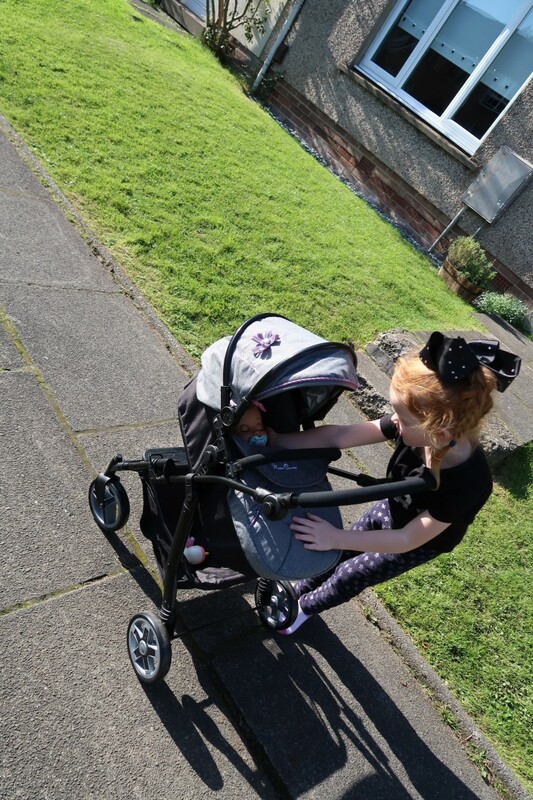 The pushchair can be both rear and front facing. The changing is simple and easy to do, your child may need some help at first, but after that, they can do it on their own. It does everything you’d expect from a Silver Cross pram system. This is what Play Like Mum has tried to do, they have made an exact replica that mummy has, that your little one can have, with just as much care and attention to detail. The front swivel wheels make it easy to manoeuvre. With suspension for a smooth ride. 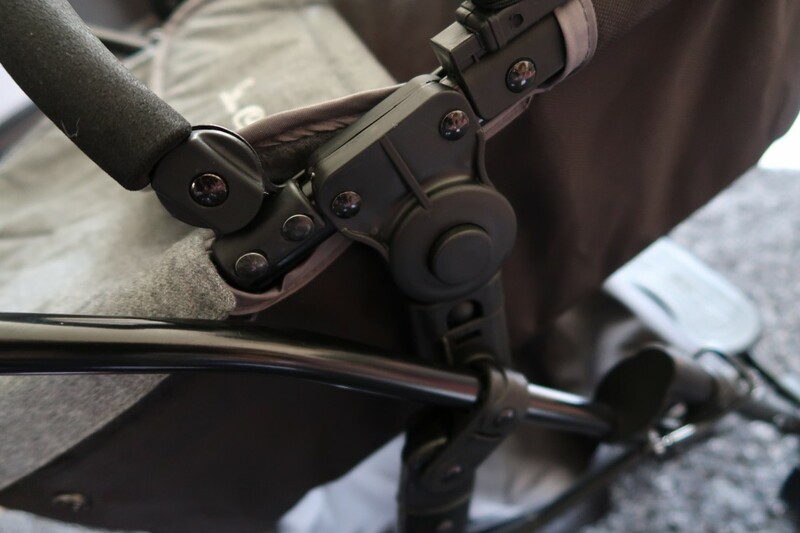 The handlebar is adjustable from the buttons on either side, so it can go at it’s lowest setting for your little one and then can be adjusted as they grow. The height goes from 44cm to 76cm so it really is something that can be used and played with for years to come. As you can see dolly is very snug and comfortable in her new pram. 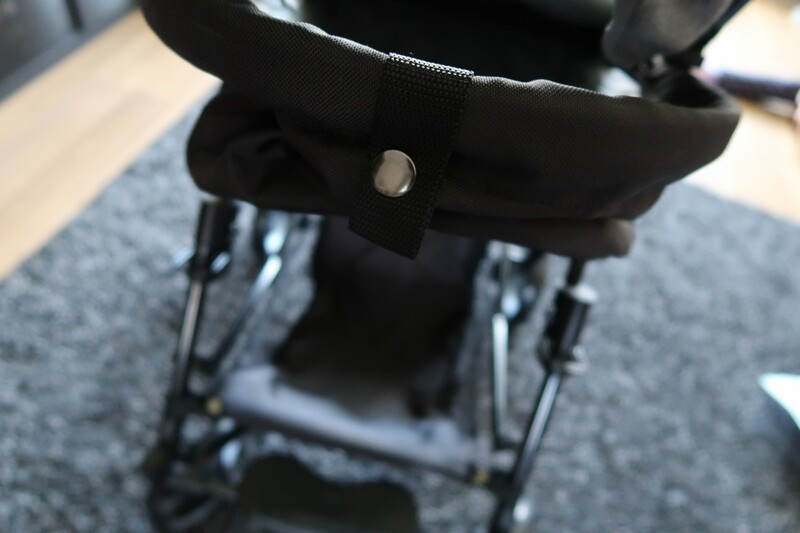 this is a fantastic pram that is well made, adjustable and has so many different options. The hood goes up and down and there is a covering that matches the pram. The basket underneath is there to store your baby doll accessories and the handle in the middle allows for the carrycot to be lifted off with ease. Switching to the pushchair, Aria loved pushing her about in it. She remembers it was just like the one she had when she was little. 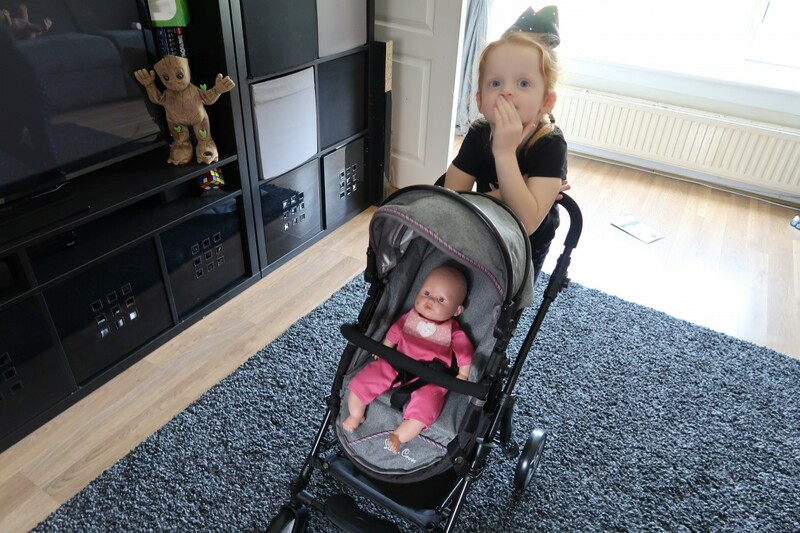 She’s so gentle with her dolls and she adores this pram. Heading outside with the pram was very exciting. 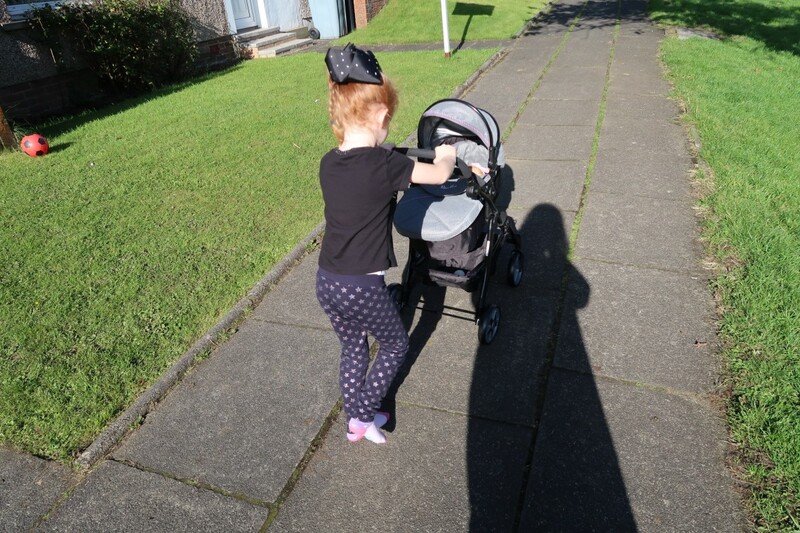 She pushes it up and down out and runs about, pleased as punch to show off her pram. This is built to last and I can see her having many many memories made with this. This is a real pram for her dolls. Have a look at our unboxing, building and playing. We love this pram. It’s well made and sturdy. It’s been dragged up and down the stairs, without any issues. The fabric is lovely and such a gorgeous colour. 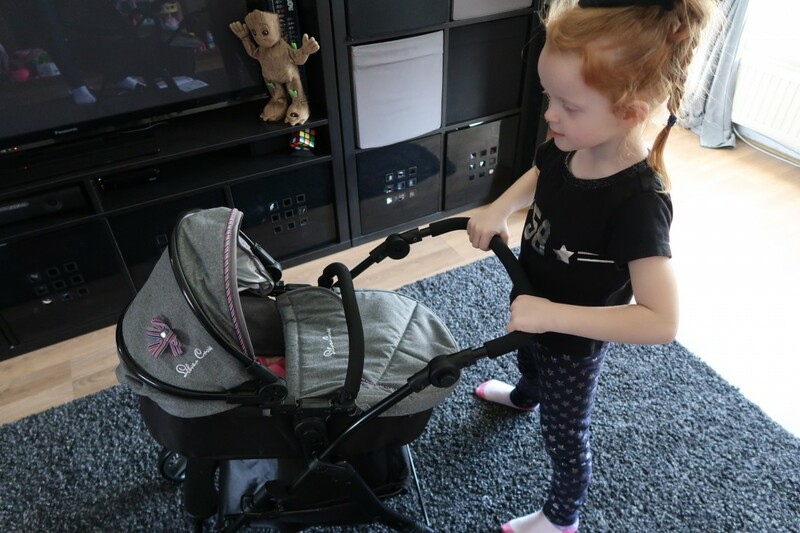 You can check out the Play Like Mum site which has different types of prams and pushchairs, as well as colours and accessory kits. I know the accessory kit for this pram is on Aria’s Christmas list. I wouldn’t hesitate to buy more from them. At £59.99, I think it is good value. It is built to last and it just like mummy’s pram. Any little girl or boy would be delighted to play with this. It is suited for children aged 4-7 and with the handle being adjustable, it can grow as they grow. I think the colour is great and the care and detail that has gone into it is incredible. Even the cat has enjoyed some time being pushed around in there. 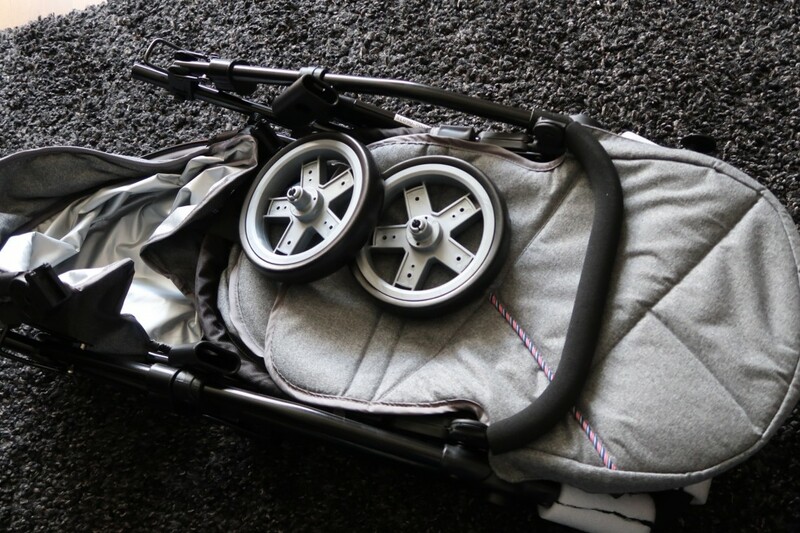 The Silver Cross 5 in 1 pram fits a doll up to 46 centimetres. A good size I think. This makes a perfect Christmas gift. It’s a firm favourite here. Disclaimer:- We were sent the Silver Cross Pioneer for the purposes of review, however, all thoughts and opinions are my own. That’s such a good price! 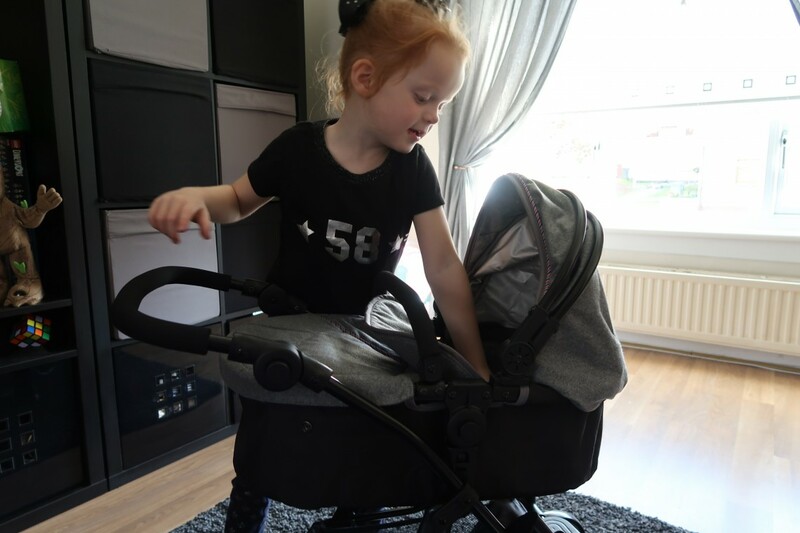 I remember my daughter eyeing up a pram a bit like mine and it was well over £100 – and that was about 9 years ago! Aww! That looks like a fantastic pram! It is such a great price. I imagined it costing at least £150. It looks like Aria really loves it. Mine all loved their babies too it’s so sweet to watch them, isn’t it? This really is just like a ‘real’ pram I love it!